I’m pleased to announce that today we shipped the final release of the Windows Phone 7 Developer Tools. You can download them here. 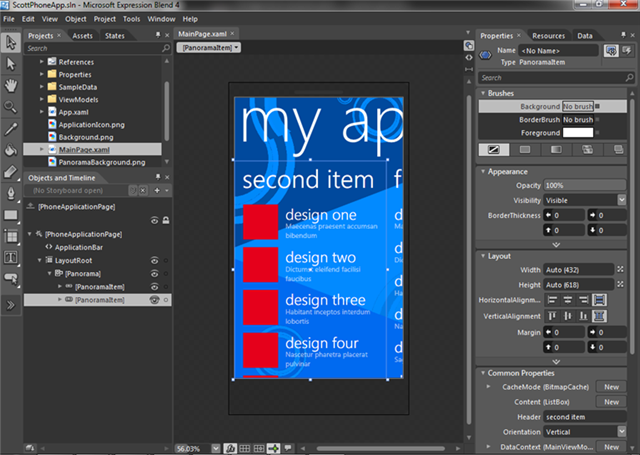 The Windows Phone 7 Developer Tools package includes everything you need to write awesome applications and games for Windows Phone 7. All of the tools included in it are absolutely free. All of the above tools and frameworks are packaged into one setup, and everything is free. If you already have Visual Studio 2010, the setup will also add support for Windows Phone 7 development and projects to your full Visual Studio 2010. Applications and games you build with the tools released today can be uploaded to the Windows Phone Marketplace - which enables any phone consumer to easily download and purchase them directly from their phone. This provides a great way to distribute applications/games that you either get paid for or distribute for free. VS 2010 Express for Windows Phone provides a rich development environment for building great phone applications. 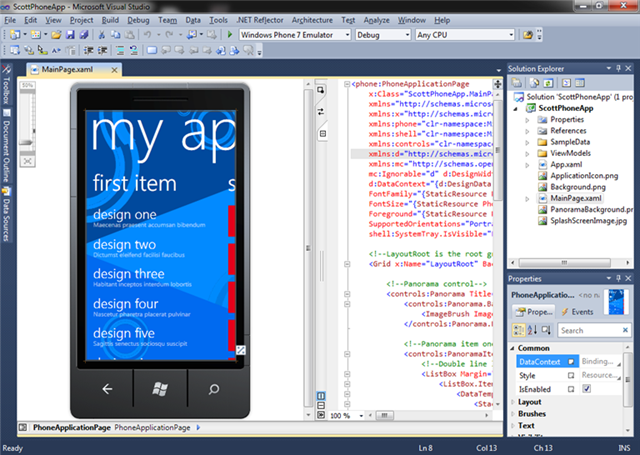 Visual Studio provides a WYSIWYG design-surface (with split-view support for XAML source) for building phone applications using Silverlight. It also provides full code intellisense, debugger and developer tool support. The phone emulator is hardware accelerated, and optionally supports multi-touch monitors (enabling you to easily simulate finger gestures). You can edit projects using both Visual Studio 2010 Express for Phone as well as with Expression Blend for Phone (which is also included for free in the download package). The project file format is the same for both tools - enabling you to create an application in one of the tools and then open it up and edit it in another. It includes full designer support – including support for animations, storyboards, custom paths, and many other features. It also uses the same phone emulator as VS – enabling you to build and run applications without needing a physical device. We have had hundreds of thousands of downloads of the development tool previews – and are already seeing some awesome applications being built for the Windows Phone 7 launch. 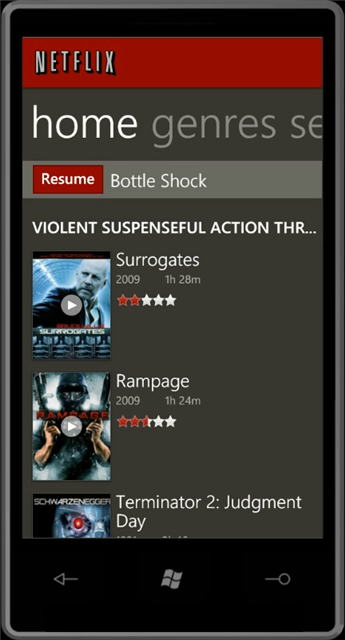 On YouTube, you can search the tag wp7dev to find other demos that have been posted by developers who have been using the previous previews – the demos posted include games, utility applications, data snacking applications, and more. If you’re a developer who has experience with .NET, Silverlight or XNA, you already have the core skills necessary to start writing a Windows Phone 7 application or game. We’ve been working hard to get resources and information out to developers so they can be successful writing applications from day one. Since the Windows Phone 7 application platform is Silverlight-based, most articles or information about writing a great Silverlight application is also relevant to the phone. The same is true for XNA articles and information for building games. Optimizing Silverlight Applications for Windows Phone 7 – Great whitepaper written by the Silverlight team, with examples, detailing how to make your application perform fast and smooth. You can learn more about today’s release from the Windows Phone 7 Blog as well as from this Channel9 video that includes an interview from me. I’m also pleased to announce that we’re extending the popular Silverlight Toolkit concept to include Windows Phone 7 components as well, with a dedicated release that will be available to download here. This library is delivered both as a binary, as well as with fully buildable and modifiable code licensed under the MS-PL license, and you are free to modify and/or include it in your applications. If you have installed previous preview releases of the tools, you will need to completely uninstall those before installing today’s final release. This is also true for the Zune Client if you’ve installed that as well (which is used to sync applications with real devices). 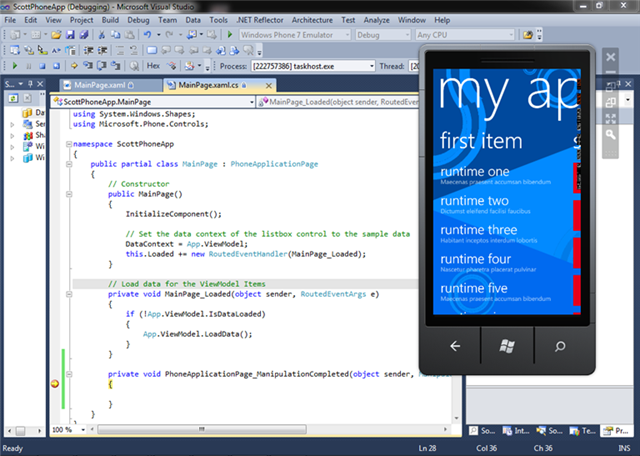 The download of the final Windows Phone 7 Developer Tools release is here. We are really excited about the Windows Phone 7 release, and what it means for both consumers and developers. Today’s tools release provides everything you need to get started building great Windows Phone 7 applications. We are looking forward to seeing what you create! Nice! We have been waiting for the final version ever since we attended a very nice Win7Phone convention by MS here in Oslo earlier this year. Now we can finally build solid mobile apps for all our customers. Can't wait to jump in. One question: can I pleeease use a Zune API for my apps? Win2008R2 isn't supported? Do I need two different developer machines? A great set of tools. I've enjoyed training dozens of people on the Beta tools and it's great to see the RTM tools are pretty much the same - very few upgrade changes to make. People should read the release notes, particularly in relation to the manifest and app.xaml files. The install screen says this is a 30 day trial...is that right? >>>>>>>> The install screen says this is a 30 day trial...is that right? Sorry for the confusion. The tools are free forever. 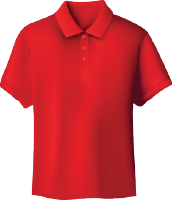 We do require you to register the Express products within 30 days - but the registration itself is absolutely free. But I've got a question - is offline ISO image available for download? Scott, thank you for this! One question - is there anything special that needs to happen if I decide to install a full version of VS2010 Pro AFTER I install the WP7 Tools? Would I have to run the installer again to get the full version WP7 templates installed? Thanks again! Scott, any info on hardware devices, brands, models and availability? Like Eric above, I'm a little disappointed that only Win7 and Vista are supported. Unfortunately at work we are still on XP. At least I have Win7 at home so I can play around with this. What if I don't want to install XNA, VS Express, Express Blend, etc? What if I already have VS2010 and I just want to install the basics? tnx for the great post, can't wait to try it out! Installer is a no-go. Refuses to install on Win2k8 or Win2k8R2, which many of us use on our development machines (with good reason). Can you please issue a fixed installer? Or post a workaround. There is no good reason to not support these two OSes. Why are we ruling our Server OS as a development environment? Will it be possible to connect to our ADO.NET data services layer to use the DataSet and other ADO.NET objects inside our W7P applications? This is also true for the Zune Client if you’ve installed that as well (which is used to sync applications with real devices). How will this effect my music collection? I don't want to have to redownload all my Zune Pass content because I had to reinstall the Zune software. Can I not just upgrade it? To answer questiosn if you already have visual studio installed. "All of the above tools and frameworks are packaged into one setup, and everything is free. If you already have Visual Studio 2010, the setup will also add support for Windows Phone 7 development and projects to your full Visual Studio 2010." Taken from the first section in the blog. Are there any limitations in the express version for windows phone development? Unfortunately the phone emulator no longer works after uninstalling BETA and installing final version. I think in beta there was a 64bit emulator - in the release I get only a 32 bit version installed - which doesn't start via start menu shortcut. If I try to deploy using VS 2010 I get a "illegale commandline error". Getting an error "The emulation layer does not support the functionality that is being accessed" when starting the emulator from VS2010 or directly via the shortcut. Any ideas? Awesome! We have several clients we're building Windows Phone apps for and it's great to have the real tools and controls available now. Can't wait for the marketplace to open and for these apps to get into the hands of real users! Really excited about this release, congrats! However, news just broke that Verizon, who happens to be *my* carrier, won't have WP7 handsets at launch. The big question is why? The bigger question is if I want one on launch day, what are my options? Would a standalone installer be available soon? I mean, an ISO image or something? What is the different in capability between "Expression Blend for Phone" and "Retail version of Expression Blend 4"? And one more important question, i am using Chinese version Visual Studio 2010 Professional and Chinese Window 7. Can the English version install on my machine? instead, when will chinese version release? Will we be able to at least get the apps from marketplace in these countries ?? I think someone asked this earlier, but can i ask again. Is there an ISO of the tools available for offline install? My ISP has just told me that my internet won't be installed till mid October and i really wanna get started with this before then. Please tell me there is an offline option available? I have Windows 7 running with VS2010 premium. I installed the tools by following the link in this article and accepted all the options. Once installed i open up VS 2010 expanded VB and no Silverlight for Windows phone option. I close evertything restart and same issue. In error i expanded C# and the option is there...... I then repaired the templates (devenv /InstallVSTemplates) but to no avail. 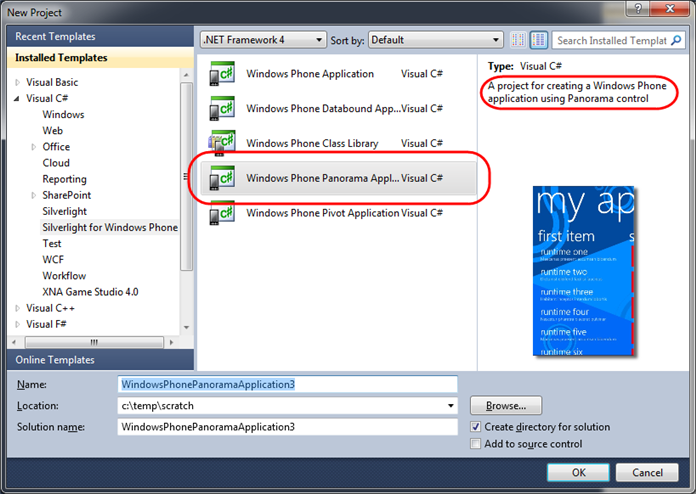 How could i enable Silverlight for Windows phone option for VB .Net? Why is Windows 2008 R2 not supported. Really not happy, how many developers use server as desktop os for Hyper-v and other bits. I have VS2010 Ultimate and the Expression 4 Suite already installed. Wil the install update these or install the express editions side by side? this is very important to us, because we develop custom windows mobile applications. I'm experiencing the same problem with the emulator as ManniAT, and our build server is Windows Server 2008 R2. I guess we can work around the operating system issue, though we'd prefer the server OS to be supported, but the emulator problem is a blocker, especially before actual phones are available. @james_evans - I went ahead and installed the tools, and it seems that it integrates right into VS2010 Ultimate and Expression Blend 4. I don't see any express editions at all. Silverlight for Windows Phone 7 Toolkit is a great addition. I am curious. How many human working hours / days have been spent on this Twitter app for Win Phone 7? If we uninstall Zune, is there a new Zune client in the new installer? I was able to install the new toolset without uninstalling the Connect version of Zune. I currently cannot deploy to my test phone and was wondering what I need to do to make that happen. Where can I find information about how to deliver video through WP7 IE? I'm working on a HTML5 library and I'd like to be able to provide a consistent fallback for mobile IE, but I can't seem to find anything on how to trigger media playback. @Alexander, James_Evans, the install is side by side, but if you have VS2010, it will just install the Silverlight for Windows Phone project templates. So you won't see an icon to launch the Express edition seperately. Same for Blend. @Noman Tee, WP7 - no there is no extra phone-specific functionality in the VS2010 that isn't in this tools release, obviously in general VS2010 has a lot of functionality Express doesn't. It's all there! Not sure about installing Express first. Worst case, you'd need to re-install the Phone Tools after installing VS2010 Pro. @Daniel - You may see this if you're using pre-release versions of VS2010, etc. Otherwise, no you shouldn't see that. I've sent an email about Win2K8 off to see what the issues are there, sorry you're blocked on this. If we don't have a multi-touch monitor, how do we test multi-touch? Agree with several other posts here. If it doesn't run on Windows Server 2008 R2 then it's not ready for prime time as far as most developers are concerned. I'd like to chime in along with the other devs who are running Server 2008 R2. Phone 7 ROCKS, and I'd love to be able to use the SDK on my Server 2008 R2 based development machine. Thank you so much. Windows Phone 7 is a great tools. So does this mean that to run an App on my own phone that I will need to open a MarketPlace accounnt ? - I can undersatnd that i would to distrubute my Aps to other Phones, but surely I can debug on my own machine without paying MarketPlace registration and subscription fees ? Otherwise this has put me right off Mobile for my own development puropses. This would be a lot more interesting if I could get my hands on one of the phones, something I've been trying to do for months. I love reusing my .NET knowledge to build different applications that target different platforms. I was extremely disappointed of the very limited number of supported countries/languages. Even there is no visible plan when the remaining countries will be included. I think the whole concept behind the marketplace is to provide hundreds of thousands of developers the opportunity to build millions of applications that will reach hundreds of thousands of customers with a single click! I have a lot of respect for Microsoft, but Apple’s mobile development platform is far mature than Microsoft’s platform. No CDMA = No Sprint and No Verizon = All the customers that have no IPhone that probably didn't move because they like their carrier and potentially could have gotten a WM7 at launch. 2011 for WM7-CDMA is too late. IPhone will be on Verizon and there will go our potential customers. Is there something that you can do to push the CDMA version before the end of this year? Excellent work with the phone OS platform, but please don't miss the "Window" of opportunity. Traditional Chinese Visual Studio 2010 Pro. however the WPDT Project is not integrate on my VS2010 Pro. @ Shawn Burke, the solution you proposed for @ManniAT worked for me, thought you'd like to know. Thank you. It is just a shame that only professional developers and those that can afford MS MarketPlace subscriptions will be able to use these tools on their own phone. Some of us feel that we should be able to program our own phones. Installer causes a system crash when trying to install inside a 32 bit Windows 7 Ultimate VM. Can you run this inside a VM? The installer should remove beta versions. I keep trying the betas and when the RTM version comes out it isn't always clear what I need to uninstall I like the betas just need an easier uninstall process. I am running into a problem installing the Release WP7 tools as the installation is hanging on step 3. any ideas on where the log files are? and what about the complex script support for those RTL languages ?? I'll by a Windows Phone 7 in the short future. I'm puzzled - why do you say these tools are free, when you can't actually debug or deploy apps on the target hardware without spending $99 (per year) to get a Marketplace account?